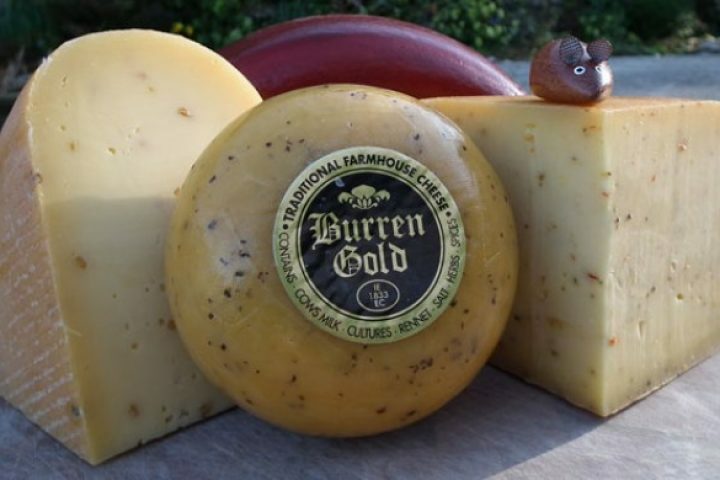 Hear the story of our Burren Gold Cheese, watch it being made, be part of our tasting table and carry on enjoying Burren Gold at home. Burren Gold Cheese making @ Aillwee continues to celebrate making cheese for over 30 years. Come and join us as we look back through this unique history. Over 30 years our milk, from the same neighbouring farm on Aillwee Mountain, comes to our Farm Shop where it is turned, using only traditional Farmhouse methods, into Burren Gold. It is a firm textured, Gouda style Farmhouse Cheese with a rich creamey taste and, as the name suggests, a wonderful yellow – golden hue. 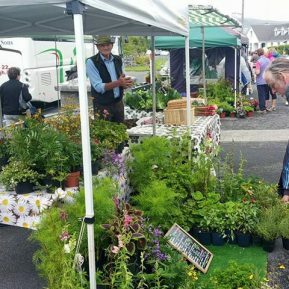 While appreciating its history, watch as Diarmuid and his Farm Shop colleagues skillfully share with us the different stages of cheesemaking. Against this backdrop you are invited to our tasting table where we serve cheese platters that include our six flavours at various stages of aging. Sample them on their own and with local crackers and chutneys. Wash it all down with some well chosen beverages! To make your time with us memorable we have prepared a cheese pannier brimmed full of Burren Gold for you to take home and enjoy.